The strategic project MED-DESIRE takes part to the ENPI CBC Med Capitalization event devoted to the environmental sustainability, currently underway in Rome (Villa Celimontana, Palazzetto Mattei). Given its focus on cross-border cooperation, the ENPI CBC Med Programme is a natural fit for environmental initiatives, because efforts to protect the environment of regions around the Mediterranean can be more effective when they extend across borders. This capitalization event aims at analyzing and discussing key topics addressed and main results achieved by the projects financed under ENPI CBC MED Programme 2007-2013, in view of identifying good practices and common valuable approaches. Complementarities and synergies of the results among the implemented projects will be highlighted. 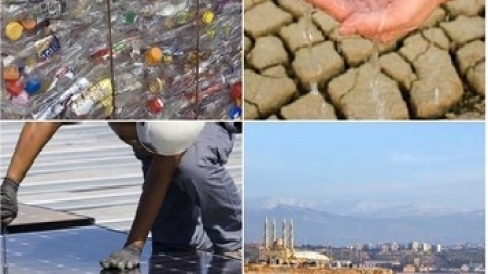 The 38 environmental sustainability projects funded under the ENPI CBC Mediterranean Sea Basin Programme are divided into 5 areas: Water management (8 projects); Waste treatment and recycling (6 projects); Renewable energies and energy efficiency (9 projects); Protection of the environment and natural resources (5 projects); Integrated coastal zone management (10 projects). MED-DESIRE project belongs to the Renewable energies and energy efficiency area and will be represented by Rani Al Achkar, Project Coordinator at the Lebanese Center for Energy Conservation (LCEC), during the panel session devoted to the presentation of the local/international agreements signed/to be signed within the ENPI CBC Med projects on renewable energies and energy efficiency management and focused on the processes leading to the agreements and to their potential impacts.